The Chinese University of Hong Kong (CUHK) has been blessed with the vision of its founders for their emphasis on bilingual education and whole-person development. For more than five decades CUHK has embraced its founding philosophy, capitalized on its distinct advantages and navigated different challenges to develop into a research-oriented comprehensive university highly esteemed locally, in the region and in the world. At CUHK, a wide range of academic programs are organized in its eight Faculties, including Arts, Business Administration, Education, Engineering, Law, Medicine, Science, and Social Science. Given its geographical location, traditions, and ties, CUHK enjoys special advantages in the study of Chinese language, culture, economics, etc. Different specialties in engineering (electronic, information, automation, etc.) command world-leading positions. Its Business School, Law School, and Medical School are reputable training grounds for professionals in their respective fields as well as centers of seminal research. A total of 210 postgraduate programmes leading to master’s and PhDs are offered through the Graduate School. CUHK’s students are hailed locally from Hong Kong and non-locally from China and over 50 countries in the rest of the world. The international mix of the student body is further enhanced by the presence of exchange students from CUHK’s partner institutions around the world, making the campus a culturally diverse environment. CUHK promotes interdisciplinary research excellence on a local, national and international scale. It has four research priorities, which are China Studies, Translational Biomedicine, Information and Automation Technology and Environment and Sustainability. 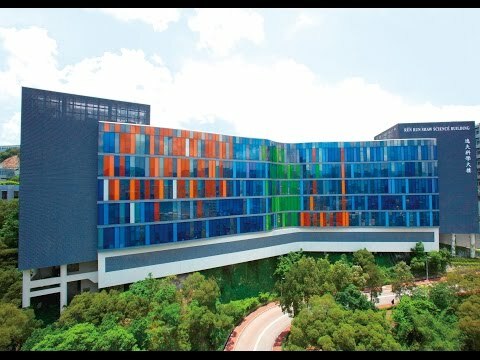 CUHK is a world leader in non-invasive prenatal testing theory and method, genomic studies on plants for sustainable agriculture and food security, and network coding theory that revolutionized data transmission and network applications. The prowess, variety and impact of research at CUHK can be further demonstrated from its establishment of five state key laboratories, past and ongoing Areas of Excellence research projects, and the many research institutes and collaborations with eminent overseas research institutions. CUHK is a member of the Worldwide Universities Network and the Association of Pacific Rim Universities.